Before moving to Rochester last August, I was working and studying in Amman, Jordan. One of my favorite parts about life in Jordan is the culture of hospitality. Within my first few weeks in Amman I met a family and was invited to eat lunch at their house. At the end of the meal, the mother of the family asked me how the food was. My mouth was full, but I still wanted to tell her that the food was delicious. 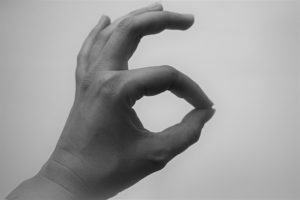 So, I enthusiastically formed a circle with my index finger and thumb while keeping my other three fingers straight. In this situation, the mother and I were operating under two different sets of cultural expectations, or hidden rules. As a result, our efforts to interact ran into a roadblock. In order to avoid running into roadblocks like this one while traveling in other countries, many people will use a guidebook. There is usually a section in each guidebook that explains where to sit in a taxi, how much to tip in restaurants, and what type of clothing is most appropriate in different settings. By learning about these unspoken expectations, we are able to have smoother conversations, show respect for others, and navigate around potential roadblocks. In Bridges Out of Poverty, Ruby Payne points out that these types of hidden rules are not limited only to our interactions with people from countries outside of the United States. In fact, there are very clear cultural differences that separate people within the United States. Payne writes about the differences and hidden rules that exist between people who grew up in a middle class culture, a culture of poverty, and a culture of wealth. She writes about how people in each of these three cultures often think differently about topics like money, food, personality, time, and education. In the United States, the distinctions between these cultures become particularly important when people who grew up in one culture interact with or work with organizations that are operating under a different set of hidden rules. For example, most workplaces in the US operate using the hidden rules of the middle class. In middle class culture, people are expected to arrive on time for work and appointments regardless of other events that are occurring in their lives. Additionally, someone’s achievements or credentials are often prioritized over interpersonal relationships. By contrast, Payne writes that in a culture of poverty, a person’s likability, sense of humor, and ability to entertain are usually emphasized over their education or qualifications. Payne points out that being aware of these rules is important for people no matter their culture. 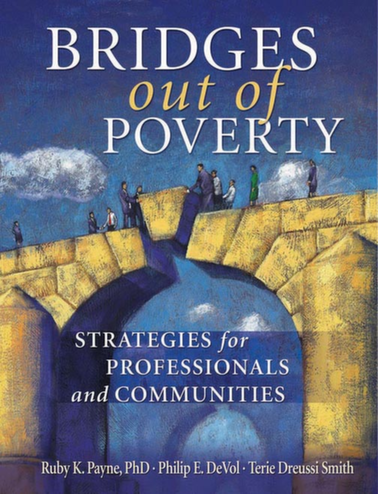 When staff at schools, non-profits, and government organizations interact with and serve individuals who grew up and live in a culture of poverty, they frequently run into roadblocks. This can be because staff are operating under a different set of expectations than the people they are trying to serve. On the other hand, individuals who grew up in a culture of poverty can also benefit from understanding the hidden rules of the middle and wealthy classes. Payne does not encourage people living in a culture of poverty to leave behind their culture and assimilate to the norms of the wealthy or middle class. Rather, she states that people should be aware of the norms in different cultures so that they can switch between different rules when necessary. By directly talking about the differences and assumptions that we all bring to our interactions with others, Ruby Payne has provided a valuable tool for anyone who would like to more effectively improve their own ability or their organization’s ability to build relationships with people from different backgrounds. To get your own copy of Ruby Payne’s book, check at your local library or order it here.